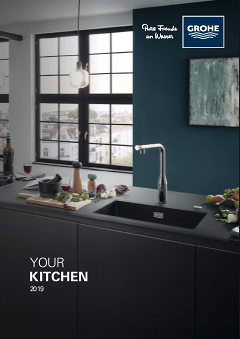 Enjoy full flexibility with this wall-mounted GROHE Concetto kitchen tap. It has a high spout, which is very convenient for rinsing pots and pans or cleaning the basin, and a 360° swivel range. That means it has a maximum operating radius, which is ideal for kitchens with two basins. Crafted with GROHE SilkMove cartridge technology, the control of water flow and temperature is smooth and precise, and thanks to our easy installation system you can fit it in no time. With a minimalist design and stylish GROHE SuperSteel finish, this product makes an instant style statement. GROHE Concetto – perfect blend of modern design and premium performance.